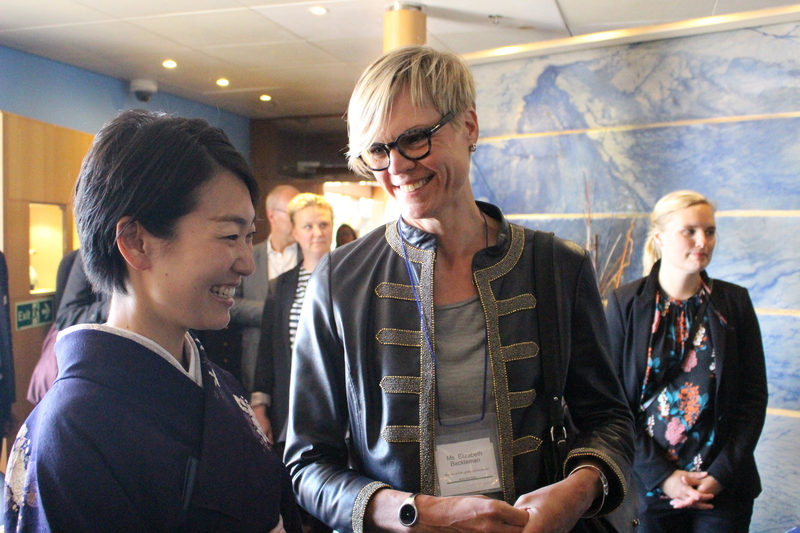 As Peace Boat’s 94th Global Voyage for Peace docked in Stockholm on June 2, 2017, a symposium was held onboard Peace Boat’s ship to raise awareness of the High Level United Nations Conference to Support the Implementation of Sustainable Development Goal 14: Conserve and sustainably use the oceans, seas and marine resources for sustainable development. The Ocean Conference which convened at United Nations Headquarters in New York from 5 to 9 June 2017 is the first High Level conference dedicated to the implementation of a single SDG and seen by many as key to the implementation of the 2030 Agenda for Sustainable Development. Ecoship was the first voluntary commitment for the implementation of SDG 14 from civil society to the Oceans Conference. 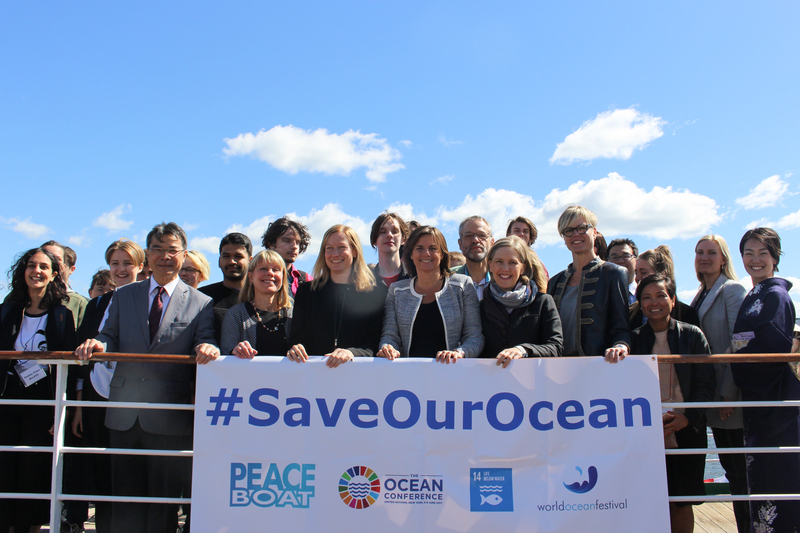 Sweden is Co-President of The Ocean Conference together with Fiji, and the event onboard Peace Boat was described by the Swedish government as the ‘kick-off’ for The Ocean Conference. The symposium organised in collaboration with the Swedish Society for Nature Conservation (SSNC), brought together political leaders including Minister for International Development Cooperation and Climate and Deputy Prime Minister of Sweden, and co-chair of The Ocean Conference, H.E. Isabella Lövin. Civil society representatives and ocean experts from The Swedish Society for Nature Conservation, World Wildlife Fund Sweden, Greenpeace Sweden, Race for the Baltic and The Goals.org spoke as part of the Civil Society Panel. There were also exhibitions from NonHazCity Project, Svealands kustvattenvårdsförbund (SKVVF) and Stockholm Future Wastewater project .The symposium was attended by a broad spectrum of participants, from government representatives, civil society, youth from Global Gymnasia all focused on the discussion on the health of our oceans and ways to protect them. In the first part of the symposium, H.E. 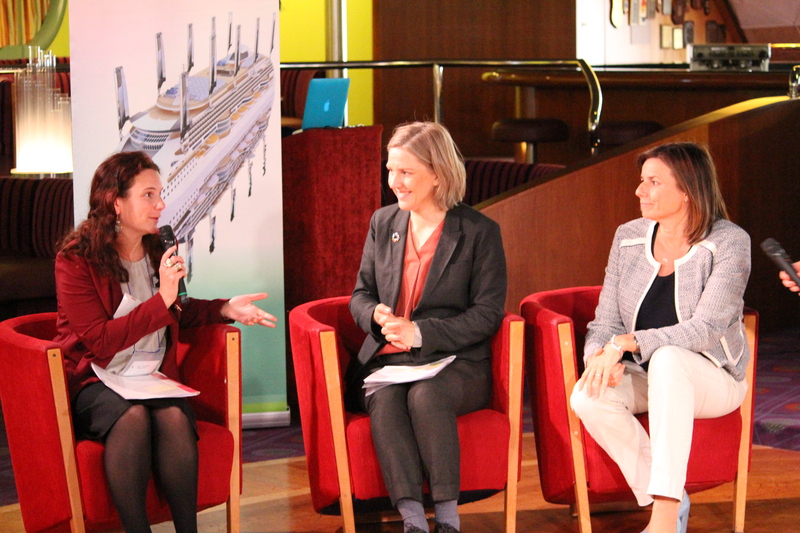 Isabella Lövin, had a discussion with Swedish Minister for the Environment, H. E. Karolina Skog. Ms. Lövin, co-chair of The Ocean Conference, explained that the conference will bring the whole world – countries, governments, civil society, science and the private sector – together to look at all the problems that are now threatening the oceans. She highlighted the importance of discussing these issues, such as stopping overfishing and making sure that countries on the frontline of climate change have the resources they need to monitor their waters, together; and creating action plans to see them fulfilled, declaring, “We want [the conference] to be the game changer for the oceans”. She also spoke of the need to protect the oceans by such actions as stopping pollution emissions and plastic debris coming into the oceans, “because otherwise they will not cope with the stress of climate change”. The audience heard from H. E. Karolina Skog, Swedish Minister for the Environment about on how Sweden is tackling some of these issues including looking at reducing marine litter, banning microplastics in some cosmetics and doubling marine protected areas in Swedish waters. Ms. Elisabeth Backteman, State Secretary for the Ministry of Enterprise and Innovation, shed light on Sweden’s efforts to improve and develop innovative and sustainable solutions for a globally sustainable oceans-based economy, such as making fisheries sustainable by creating better selective fishing gear to reduce catching fish that are too small and young or fish that are not the target species. Vice Mayor for the Environment of Stockholm City, Ms. Katarina Luhr spoke about the many initiatives at the local level that the City of Stockholm is taking to protect the ocean, particularly the Baltic Sea. 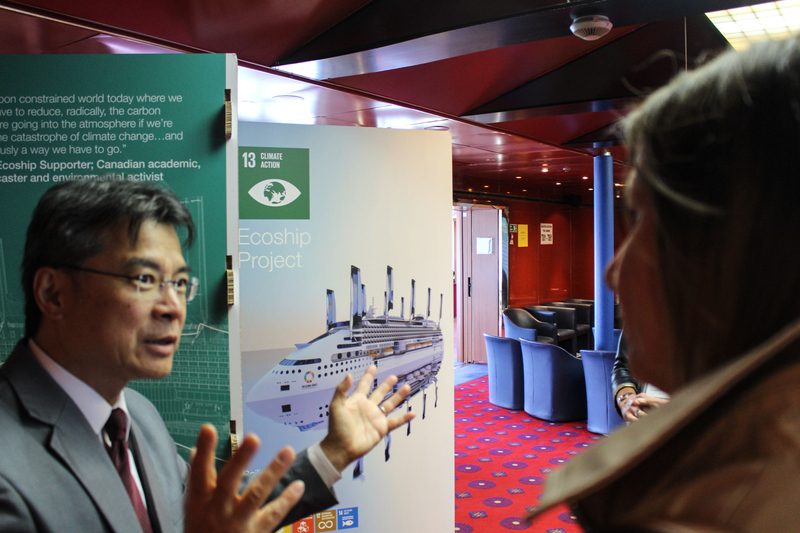 Yoshioka Tatsuya, Co-Founder and Director of Peace Boat, introduced the Ecoship. Sailing as a flagship for the SDGs and for climate, the ship will feature 40 percent reduction in CO2 emissions to mitigate ocean acidification and climate change and have a closed waste and water system. The symposium also featured music and dance. 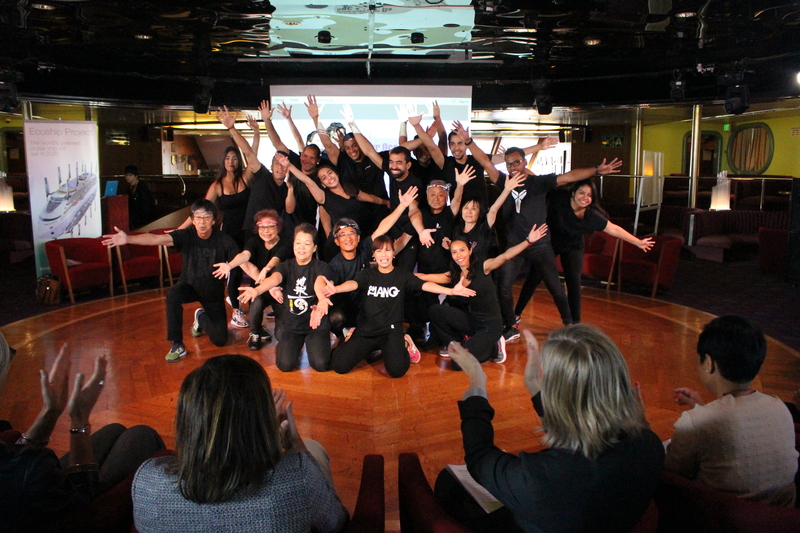 Peace Boat participants from the 94th Global Voyage performed Soran Bushi, a traditional dance from Hokkaido which represents the lives and work of the fishing communities of this island in the north of Japan.